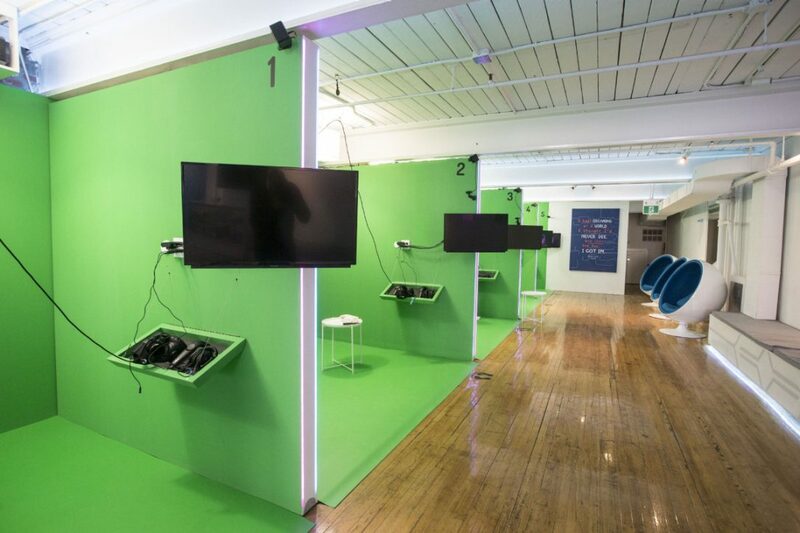 There’s a new hub for virtual reality in town, and it’s pretty cool. Just west of Queen and Bathurst sits a funky new spot called House of VR, featuring by-the-hour usage of their VR stations and a wide variety of games and experiences. The walls are all modular so that the space can change to accommodate different sizes of groups, as well as open up to a big, airy space on the second floor for the current art show. 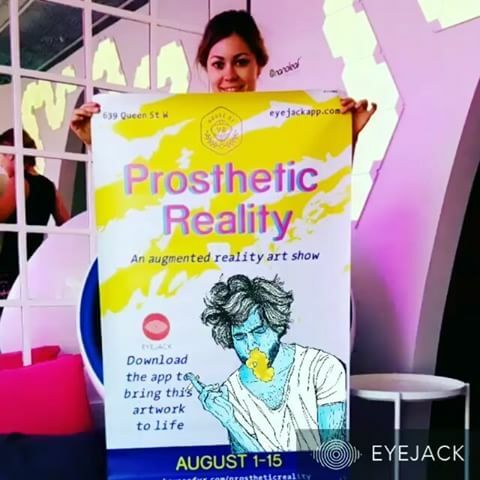 It’s called Prosthetic Reality and features 45 artists, illustrators, animators and sound designers all experimenting with the field of augmented reality. You may be wondering, what is the difference between AR and VR? For those who don’t know, AR or augmented reality consists of overlaying sound, image or video overtop of what you normally see in front of you. A good example of this is the forever-popular game Pokemon Go. Pokemon appear by happenstance in the wild, which also happens to be the very sidewalk you are standing on. 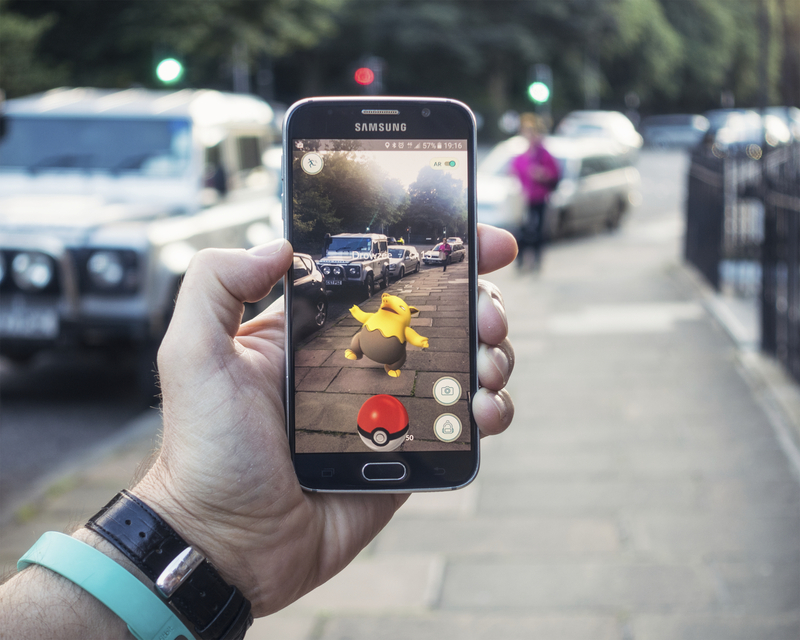 With the help of some sort of hardware (in this case, your phone), it seems like Pokemon are literally all around you in the real world of Earth. VR or virtual reality will still make it seem like that Pokemon and you are standing on the same physical ground, but that physical ground is completely different from the real one you see in front of you. That’s why VR almost always requires a headset (digital goggles that enclose and cover your entire eyesight). You can’t see anything of the world around you, which is why some people (myself included) experience feelings of dizziness or nausea when using VR. This is one of the reasons that VR is considered the “Wild West” as an industry; there are no rules or best practices for use so everyone is trying to set standards from scratch. Obviously the big players like Google are doing their part to make their research open source and accessible for small developers, but it can certainly be difficult to calibrate a fully immersive, completely fabricated world so as not to be disconcerting to users. Perhaps as we become more used to the technology, younger generations will be quicker to adopt it, much like the internet and smartphones for millennials. Anyway, suffice to say that AR is somewhat easier to understand and interact with for the current user (who probably doesn’t know much about the technology when they use it for the first time). The entire second floor of the House of VR is currently covered with beautiful posters and illustrations of various kinds. Each one contains a hidden 5-10 second animation loop (complete with sound) that brings the image to life off the wall through an app on your phone called Eyejack. The lovely Marj checking out a particularly spooky piece. The AR turns the woman's face into the lid of a giant eyeball. You can see that the beauty of AR lies in the merging of our known, real world with an unknown fake one. The grounding in reality makes the new part more exciting to me than being dropped into a totally new place where I have no base understanding of anything. But maybe that’s my nausea talking for me. The centrepiece of the exhibit is a lovely mural of jellyfish which come to life through the augmented reality screen. VR certainly also has its place, and will probably become the future of how we spend our leisure time and communicate with others over large geographical distances. Today is the last day of the exhibition, but you can visit House of VR anytime as Queen Street is its new permanent home. They also sell an art book of all the works, which you can view with the Eyejack app on your phone. Check out House of VR’s website here.